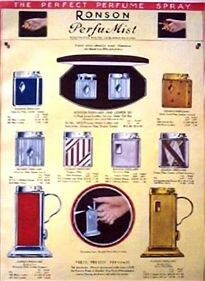 If you’re interested in lighters then why not become a member of the Club? * Click the appropriate "Pay Now" button according to your location. ** Please note that name, shipping address and e-mail registered with PayPal will be used unless otherwise requested. If you would like different details please attach a note to your PayPal payment. The interaction between members, either through meetings or direct contact, provides opportunities to obtain new publications and other literature on lighters, advice on repairs and more. Subscriptions are paid with Paypal by clicking appropriate "Pay Now" button at the top of this page. Click the appropriate "Pay Now" button and If you don’t have a Paypal account then go to "Create a PayPal account" link at the bottom right of the screen and follow the instructions. For instructions on how to pay by cheque please contact Rob Wilkinson, the Club treasurer. After cleared payment you will be automatically added to Blaze Subscription List. If you want your data removed from our database at anytime, please email Jack Bond or if you are not online ring 07740 167840.